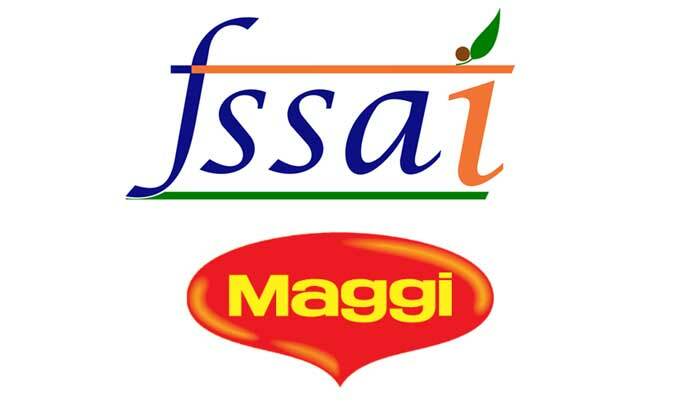 Maggi Controversy Makes Food Safety and Standards Authority Of India More Accountable. In the wake of the controversy over the presence of lead and monosodium glutamate (MSG) beyond permissible limits in Nestle’s popular noodles brand Maggi, India’s national focus has shifted towards improving food safety in the country. For the first time in Indian history, a global food brand is being recalled and banned for sale by multiple state governments. The overall public mood as reflected in media debates seem to be strengthening and raising food safety standards in the country. But, that cannot happen without making the Food Safety and Standards Authority of India (FSSAI) more accountable. The agency was established as an independent statutory authority under Food Safety and Standards Act, 2006. Before the act, there were a plethora of acts and orders handled by various ministries and government departments often resulting in chaotic situation, which ultimately transpired into ineffective administrative response. As a single reference point, the FSSAI is supposed to lay down standards for food articles and to regulate “their manufacture, storage, distribution, sale and import to ensure availability of safe and wholesome food for human consumption”. While the FSSAI did act promptly in the Nestle Maggi issue, the agency has underperformed, if not entirely failed, in implementing its mandate since its creation. Inadequate regulation and standards have created a highly toxic and ineffective system for providing food that is safe, nutritious and accessible to all. The use of cancer causing chemicals on vegetables and fruits produce, and contamination of milk with chemical additives, has become common practice due to weak and fragmented standards for food safety and lack of enforcement across the supply chain. In fact, a survey by the FSSAI in 33 states found that 68.4% of 1,791 samples were contaminated with milk powder, fat, glucose, water, bleach, and even fertilizer. Various studies from food safety advocacy groups point that the use of fertilizers, pesticides and insecticides in the agricultural sector post-Green Revolution is rampant. It has ensured a slow accumulation of toxins within the water, soil, food, and humans. Traders and sellers further contaminate vegetables and fruits by using toxic colours and chemicals for quick bucks. The country’s “long and low-tech“ supply-chain enhances the tendency of producers and sellers to resort to unnatural ways to preserve and sell the product. The above problems afflict the urban areas. In quantitative terms, as much as 70% of our cities’ food supply-chain faces the problem. Already condemned to bear the enormous pollution levels in our cities like Delhi and Mumbai, toxic food items severely depreciates the quality of an average Indian’s life. Incidents of food contamination have injured and killed thousands and will result in serious illnesses for many in the future. As an agency responsible for enforcing food safety regulations in India, the FSSAI must increase audits, inspections, and training programs to improve standards and create a modernized, comprehensive, and cost-effective system to guarantee food safety in India. To its credit, the FSSAI is trying to implement safety standards on street food for the first time, as well as adopting new food packaging requirements. The agency needs to strengthen both its own capabilities vis-à-vis staff, research and inspection laboratories, and benchmarking. For the last, it can learn and adopt best international practices like the U.S. Food and Drug Authority (USFDA), which have stringent quality testing procedures and capabilities. The USFDA is infamous in India for its role in banning the sale of many generic medicines in the U.S. over quality concerns. In addition, India needs to initiate reforms in supply-chain operations are to ensure farm produce is transported safely and at affordable prices to all, particularly in the urban areas. Advanced technology will help modernize safety standards and create a more transparent and efficient system to ensure food safety. But for all this to happen, the FSSAI must rise to the challenge and enforce food safety regulation to feed the growing and young population of India to reap its demographic dividend.